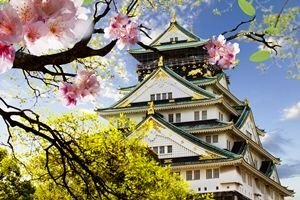 Considering studying in Japan? Read our guide to find out everything you need to know about Japanese universities and student life, and what steps to take next. Known for making things smaller, faster and first, Japan boasts the third-largest economy in the world. Its economic strength is at least partly due to the strong research and development industry that underlies successful international brands such as Nissan, Toyota, Panasonic, Canon and Sony – as well as producing robots for every need imaginable. Unsurprisingly, an excellent higher education system lies behind all this innovation. Click on the tabs below for information about top universities in Japan, student cities, applications, costs and more. Amount needed for living costs: US$9,480-10,860 per year. Tuition fees start at ¥535,800 (~US$4,760) per year. With permission, international students can work up to 28 hours per week. Capital city: Tokyo, which is also the largest city with a population of around 13.8 million in the core of the city (38.6 million in the whole of Tokyo Prefecture) – many consider it the largest city in the world. The Japanese name for Japan, Nihon or Nippon, means ‘origin of the sun’, which explains why it is often known as "the land of the rising sun”. Emperor Akihito and Empress Michiko have a purely ceremonial role. 20 percent of the world’s earthquakes occur in Japan. Average broadband speed in 2015 was 11.7Mbps (second fastest worldwide behind South Korea). Japan's national sport is generally said to be sumo wrestling, but football (soccer) and baseball are also very popular. Japan has the world’s oldest population, with over a fifth of people aged 70 or older. It also has one of the world’s highest life expectancies (84.2 years). There are more pets than children in Japan. The four largest islands, which make up 97 percent of Japan’s total area, are Honhū, Hokkaidō, Kyūshū and Shikoku. If you fancy studying in Japan, the homeland of the bullet train, Nintendo Wii, instant noodles and karaoke, you’ll be pleased to know Japan wants you too. The government is keen to attract more international students, and has set a target of having 300,000 foreign students in the country by 2020 (it reached the 100,000 mark in 2003). As a result, universities are focusing on making life easier for foreign students, from the application process all the way through to finding a job after graduation. Aware that living and studying in Japan is expensive compared to many countries, the government has also introduced additional financial support for foreign students. Various university scholarships and grants are available through the Ministry of Education, Culture, Sports, Science and Technology (MEXT) and the Japan Student Services Organization (JASSO). There are approximately 780 universities in Japan, of which about 80 percent are private. There are also specialized schools and colleges that provide more vocational types of degree. The nation’s strongest global ranking is currently claimed by the University of Tokyo, which ranks 23rd in the QS World University Rankings® 2019, up six places from the previous year. 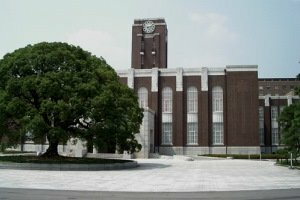 Close behind are Kyoto University (35th) and Tokyo Institute of Technology (58th), with a further 41 Japanese universities ranked among the world’s best. 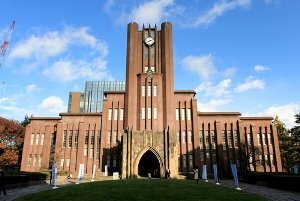 The University of Tokyo, or “Todai”, continues to be Japan’s highest entrant in the overall world rankings, and has a very strong global reputation across a wide range of disciplines. Featured in 41 out of the 48 subjects in the QS World University Rankings by Subject, the University of Tokyo performs very well, ranked among the global top 100 for every one of these subjects. Most impressively, it appears in the world's top 10 for modern languages, physics and astronomy, chemistry, mechanical engineering, and chemical engineering. Based in Japan’s old capital city of Kyoto, Kyoto University is the second highest-ranked university in the country, up one place to rank 35th. It also has a strong presence in the subject rankings, featuring among the world’s best in 35 of the 48 subjects covered in the latest edition. Of these, it ranks within the world's top 50 for several subjects, including biological sciences, chemical engineering, civil engineering, materials sciences, modern languages and physics & astronomy. Located in the third most populous city in Japan, Osaka University, also known as “Handai”, is ranked 67th in the latest QS World University Rankings. It holds a strong reputation across a number of research fields, featuring among the world’s best for 27 subjects in the subject rankings, including the global top 50 for chemistry, chemical engineering, physics and astronomy, dentistry and materials sciences. Mention Tokyo and most people probably picture neon signs, congested traffic and, well, more neon signs. But there’s more to Japan’s capital than bright lights – though it certainly has lots of those. Away from the main highways and the non-stop turnover of new gadgets in Akihabara (“electric town”), there are more tranquil pleasures to be enjoyed: shrines and temples, traditional gardens and teahouses, noodle bars and fresh sushi. There are also hundreds of colleges and universities in Tokyo, including Japan’s highest-ranked institution, the University of Tokyo, currently 23rd in the QS World University Rankings. The city is also home to Tokyo Institute of Technology, Japan’s third highest-ranked university at 58th. 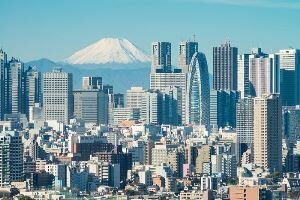 Despite being ranked among the world's most expensive cities in the annual Mercer Cost of Living Survey, Tokyo does not have to be ridiculously bank-breaking. 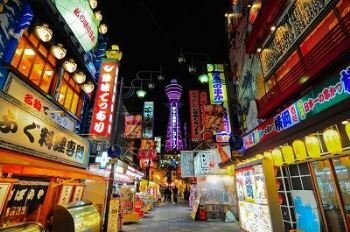 That is, as long as you avoid using taxis, eating out at Aragawa (one of the world’s priciest restaurants) or spending too much time in the famous game arcades. 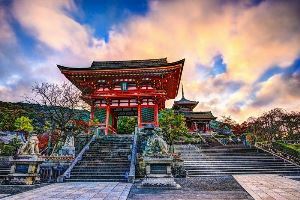 Known as Japan’s cultural capital, Kyoto is home to 17 UNESCO World Heritage sites and is top of the list for many students looking to explore Japan’s rich history – but that’s not to stay it’s stuck in the past. Today, the city’s historical sites are surrounded by thriving industry and business, as well as a year-round program of festivals and cultural events. Kyoto University is Japan’s second oldest university, and its second highest-ranked, at 35th in the current QS World University Rankings. 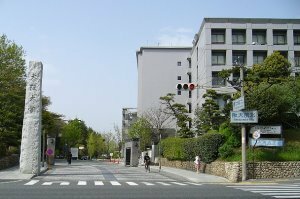 Kyoto Institute of Technology is also highly esteemed, and there are more than 30 colleges and universities in Kyoto to choose from in all. Even if you don’t pick a university in Kyoto, it’s still definitely a must-see place during your time in Japan. As far back as historical records go, Osaka has been a place of meetings and exchanges – an international gateway for trade, politics and knowledge. Today, Osaka remains a key economic and cultural hub, with a large and diverse population and an economy bigger than some entire countries. Culture-rich Kyoto is only about 40km away, but Osaka itself is not short on art exhibitions, live music or drama, as well as being known for its excellent and varied cuisine. Universities in Osaka also hold their own, with Osaka University ranked 67th in the QS World University Rankings. Rather than submitting a GPA (grade point average) or other assessment grades, students applying to universities in Japan are required to take entrance examinations. The ‘Examination for Japanese University Admission for International Students (EJU)’ is the standardized test for foreign students, designed to test basic academic skill in areas of science, mathematics and ‘Japan and the world’. Some 95% of national universities, 65% of public universities and 44% of private institutions require the EJU for entrance. Many universities also require incoming students to take an additional examination. 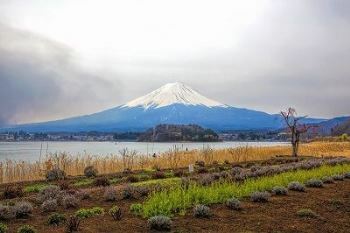 Although the EJU can be completed at test centers across Asia, prospective students must often travel to Japan to take these institution-specific tests. Fees for the tests range between ¥7,560 and ¥14,040 (US$67-$125) depending on how many subjects you take, and the test is offered twice a year. In addition to the entrance examinations, applicants are likely to be asked to provide a completed application form, academic transcripts, proof of sufficient finances to cover tuition fees, academic references, a valid passport and a couple of passport-sized photographs. International students intending to study for more than three months in Japan will need to apply for a student visa. To do this, you should first obtain a Certificate of Eligibility, which will be applied for on your behalf by the Japanese institution you have been accepted by. Once this has been issued, you will need to apply for your visa through your local Japanese embassy or consulate. As well as the original certificate of eligibility (and an additional photocopy), you will also need to provide a valid passport, a completed application form and a recent passport-sized photograph. If you want to work in Japan while studying, you’ll need to obtain ‘Permission to Engage in Activity Other than that Permitted by the Status of Residence Previously Granted’, which you can apply for at an immigration bureau once you arrive in Japan. As a general rule, this permission will entitle you to work up to 28 hours a week during term-time and eight hours a day during official holiday periods. Tuition fees in Japan, although some of the most expensive in Asia, still look very appealing in comparison to Western countries such as the UK or the US. Typically, you can expect to pay between ¥535,800 and ¥1,725,966 (US$4,760-15,340) annually – but don’t make the mistake of assuming the highest rates are charged by the highest-ranked institutions. For instance, Japan’s top two universities in the QS World University Rankings – the University of Tokyo and Osaka University – charge annual tuition fees of ¥535,800 per year (US$4,760) for most programs at undergraduate and master’s level, plus an additional ¥282,000 (US$2,500) for the ‘admission fee’. There is also an additional charge of ¥4,000-¥30,000 (US$36-$270) for examination fees. Average costs of living in Japan are ¥89,000 (US$790) per month, or $9,480 per year. Tokyo, unsurprisingly, is the most expensive place to live in Japan. Here, the Japan Student Services Organization (JASSO) recommends a budget of approximately ¥102,000 (US$905) per month to cover rent, food, insurance, entertainment and other living costs, which works out at $10,860 per year. Thanks to Japan’s ambitious reforms, international students now have more opportunities to gain funding than ever before. With the percentage of international students remaining well below the targets laid out by the CIEE, there are a range of government scholarships, grants and loan schemes open to outstanding international applicants. The Japanese Government (Monbukagakusho) Scholarship is one such scheme, for which students will need a recommendation from their university or local Japanese embassy. Another government initiative is the Global 30 Project, which not only provides students with more options to study in English, but also offers financial support and visa advice. For more information on gaining funding, check out the information provided on JASSO’s Gateway to Study in Japan website or search the online scholarship database provided by Japan Study Support (JPSS). Alternatively, contact the admissions department of your chosen university, or your local Japanese embassy or consulate.